An update to Vol. 4, pp. 1267–1271. In the wake of development and construction projects, 79 salvage excavations and soundings were conducted in various parts of the city of Ramla in 1990–2003. 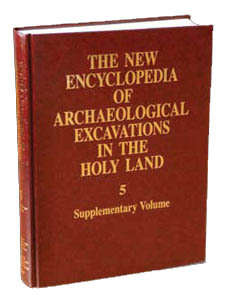 While most of the excavations were probes at building sites or under modern streets, a number of large-scale excavations were also carried out in areas north and west of the Old City and north and south of the White Mosque. Several excavations were also conducted around the Ramla bypass road northeast of the Old City and in the western suburbs of the modern city. The aqueduct that carried water to the city from the springs at Tel Gezer was also examined in salvage excavations. Although they were conducted in non-contiguous areas, the many excavations make it possible to arrive at a tentative reconstruction of Ramla in the Early Islamic, Mameluke, and Ottoman periods. In addition to the excavations, an architectural survey of the buildings from the Middle Ages and the Ottoman period was conducted by A. D. Petersen in the center of the city.